The 11th edition of Transport Ticketing Global (TTG) has been and gone but this year’s conference will be fondly remembered as a huge success by everyone who attended with a vested interest in the future of public transport and SMART ticketing. Transport Ticketing Global is the annual get together for the entire public transport community involved in transport ticketing, passenger information and SMART technology. Hosted at Old Billings Gate London for the second year running, the Cammax team were on hand at stand D45 to showcase our latest range of SMART ticketing machines, as well as answer any questions about how kiosk solutions are revolutionising public transport. During the two-day event, representatives from dozens of countries took to the floor to discuss how public transport organisations can accelerate change and capitalize on new innovations to make transport networks easier and more efficient and there were numerous presentations and in-depth panel discussions to enjoy. Now having surpassed a decade of events, TTG is the world’s largest and most exciting public transport ticketing conference, bringing together all the key players from across the intelligent ticketing, passenger information and SMART cities industries. 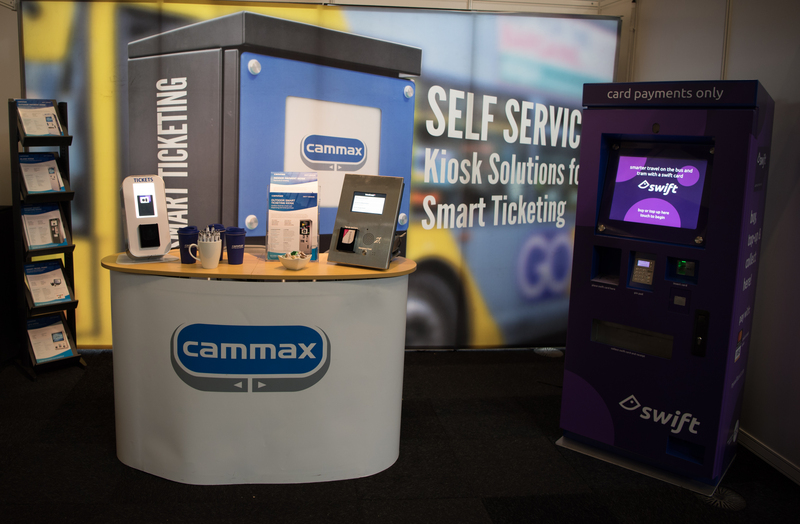 The Cammax team joined in plenty of debates as we discussed at length the benefits of deploying SMART Ticket vending machines (TVMs) to improve efficiency, manage queues in peak times and generally modernise public transport networks across regions of the UK. There was plenty of discussion and interest around our latest project involving the deployment of ITSO-enabled Bristol iPoint SMART Ticket machines. As part of the Metrobus initiative to improve transport links in the Bristol region, Cammax was awarded the contract to supply state-of-the art iPoint SMART ticket vending machines that will be rolled-out at every Metrobus stop along the new routes. The Cammax iPoint machines will offer a range of services for bus passengers, whether they are getting on a Metrobus or not. Passengers will be able to purchase tickets for the MetroBus as well as topping up their smart cards. The iPoints will also serve as an emergency point and relay real-time bus information. The iPoints enable customers to buy tickets using contactless or chip & pin bank cards, with alternative payment methods a reoccurring theme at this year’s event. Customers can also buy tickets from First’s mTicket app, and registered Travelwest smartcard users can buy tickets from the Travelwest website and load them onto their smartcard via an iPoint machine before using it on the bus to travel. Amongst the dozens of companies who joined Cammax at this year’s event were representatives from many authorities like Transport for London (TfL) as well as big multi-national payment service providers like Mastercard. Plenty more transport operators and technology providers were in attendance which made for a lively, enthusiastic and ultimately successful event. In a fun twist to this year’s conference, TTG again played host to a special ‘SMART Dragons Den’ competition whereby budding start-ups where given the chance to pitch their products to the entire transport community, in a bid to win investment. TTG also offers unprecedented opportunities to meet senior peers from the intelligent ticketing, passenger information and SMART cities industry. 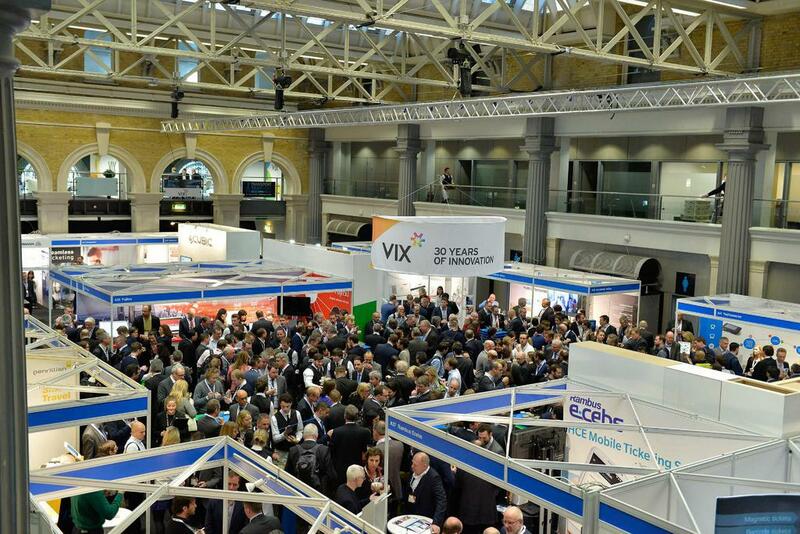 Following Cammax’ success at this year’s event, and the positive feedback received by many attendees, we have already committed to attending the 2020 conference which will be held at the National Hall, Olympia, London, in January 2020. For more information about the show please visit www.transport-ticketing.com. Finally, we would like to place on record our thanks to all the organisers who helped make the show such a big success and we can’t wait to see you all again next year!